CLASSIC STORY OF LOVE AND TRAGEDY! A traditional revival of Edmond Rostand’s story of romance and heartbreak comes back to Broadway starring Oscar and Tony Award winner Kevin Kline and Golden Globe winner Jennifer Garner. Set to begin previews at the Richard Rodgers Theatre on October 12, 2007 with an official opening date of November 11, 2007. Based on a true story this tragic tale of love and romance portrays the consequences of what can happen when one loves from afar. 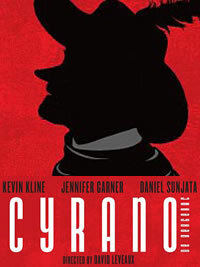 The story revolves around the gentle poet Cyrano an expert swordsman and a Cadet in the French army. The old soul falls for the beautiful and strong-minded Roxane but is too ashamed of his large nose to profess his true feelings. So instead when he learns that she is in love with his protégé the handsome but not-so-bright Christian he writes love letters and poetry on his behalf as a way of expressing his true feelings. After many years the truth is finally revealed. Who will she choose? Can true love conquer all? This current production has an award winning leading cast. Kline, a critically acclaimed actor, is no stranger to the stage. He has played the title role in King Lear at the Public Theatre last season as well as performing in Hamlet and Much Ado About Nothing. He has won an Academy Award for his role in A Fish Called Wanda and has starred in several other films including DeLovely, The Big Chill and Dave. His performance as the star crossed lover Cyrano is sure to please Broadway audiences. Making her Broadway debut as the sought after Roxane is Jennifer Garner. She is best known for her Golden Globe winning role as Agent Sydney Bristow on televisions Alias. She has also appeared in several films including Dare Devil, Catch and Release and the upcoming The Kingdom. This historical production has held strong through the years. The original play debuted in Paris in1897. A translated Broadway production opened in 1899 and was revived in 1923, 1946 and 1984. It was an immediate success upon its release and an audience favorite. The play is one of the most popular in the French language and has been filmed several times throughout the years and was even made into an opera. The most famous film adaptation was the 1950’s version starring Jose Ferrar for which he won an Academy Award. The story was even adapted into a 1987 comedy entitled Roxanne which starred Steve Martin as the unfortunate admirer and Daryl Hannah as the object of his affection. Cyrano de Bergerac withstands the test of time being performed every few decades. Audiences can relate because it speaks the universal language of love. It is a tale of two men and the woman they both treasure but only one can have. The production is on a strictly limited engagement and is set to close on December 23, 2007. Don’t miss your chance to see this timeless story. Cyrano de Bergerac tickets are selling for $21.50 to 101.50 from the box office with premium seats to sold out shows costing more. To view a great selection of Cyrano de Bergerac tickets click the link!